I went to visit the allotment over the weekend, after being away for 6 weeks, and was amazed at how well it is doing! 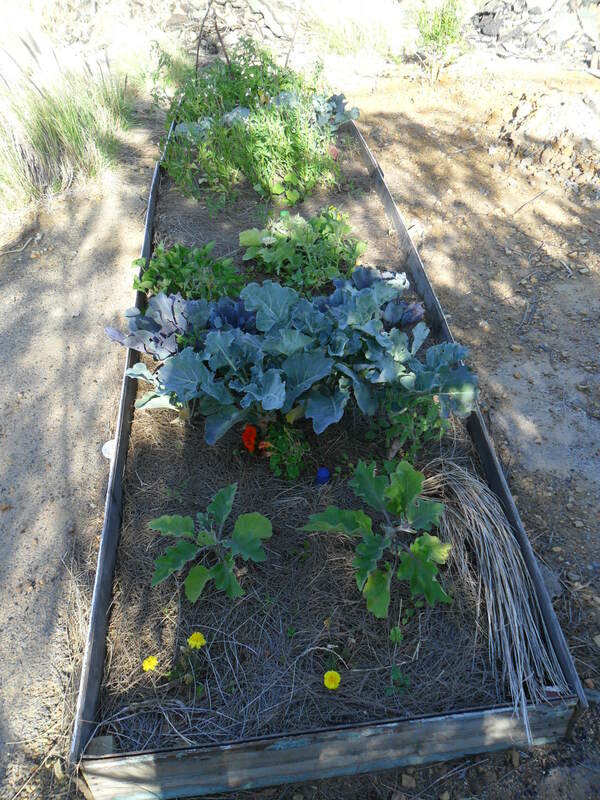 Everyone has been busy planting, watering and digging. 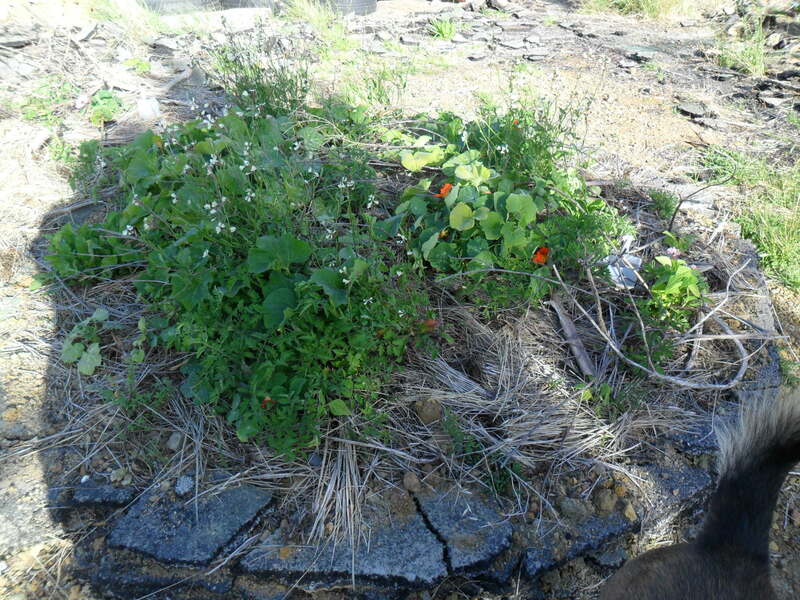 Here are some pictures showing our working vegetable garden.. previously a piece of tarmac! And if you haven’t already seen it, please watch Michael Struwig’s fantastic video of our allotment party hosted in October. 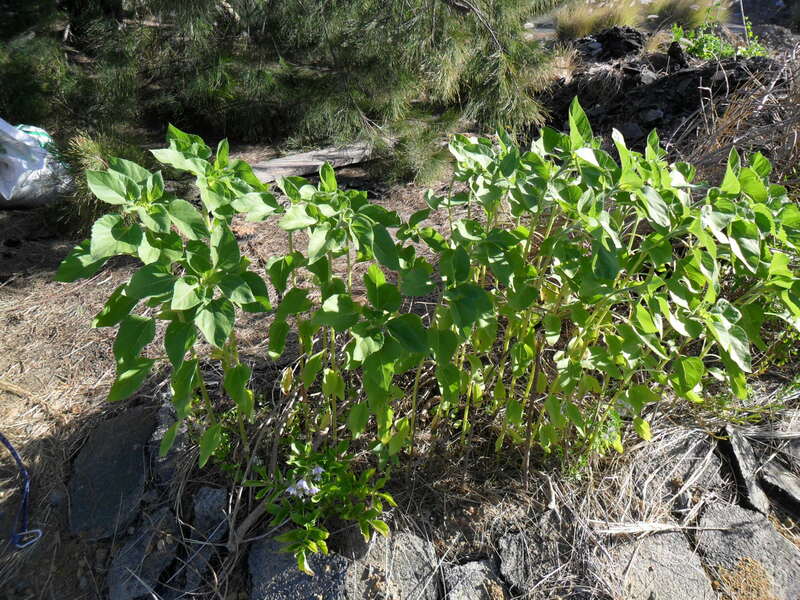 This is a good time of year to start planting your herbs and veggies. 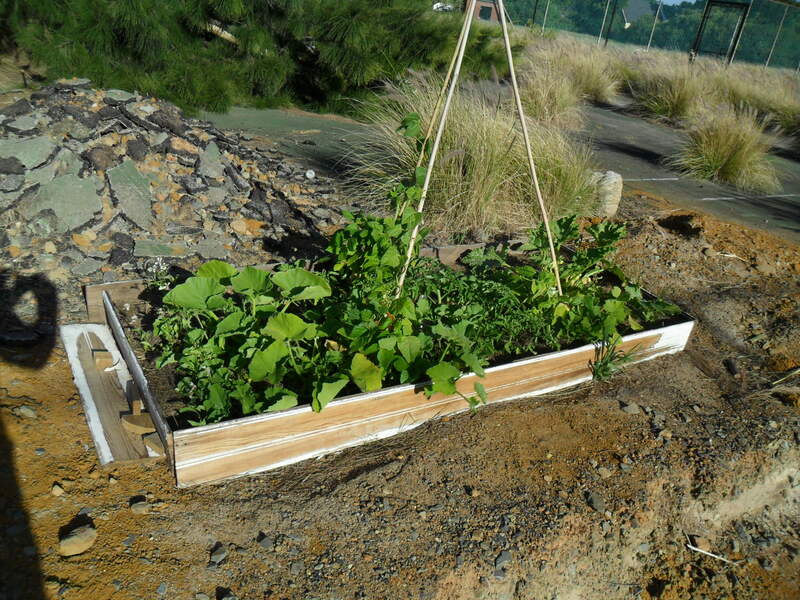 Eating your own produce is a great way to reduce your carbon footprint, and can be a very rewarding experience. 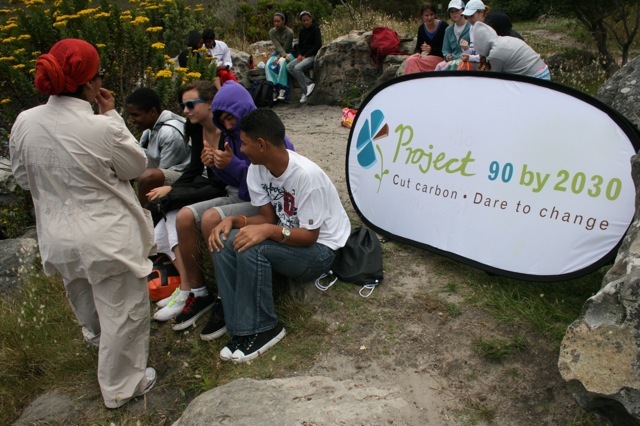 2010 has been a busy year for the Core Clubs in Cape Town. 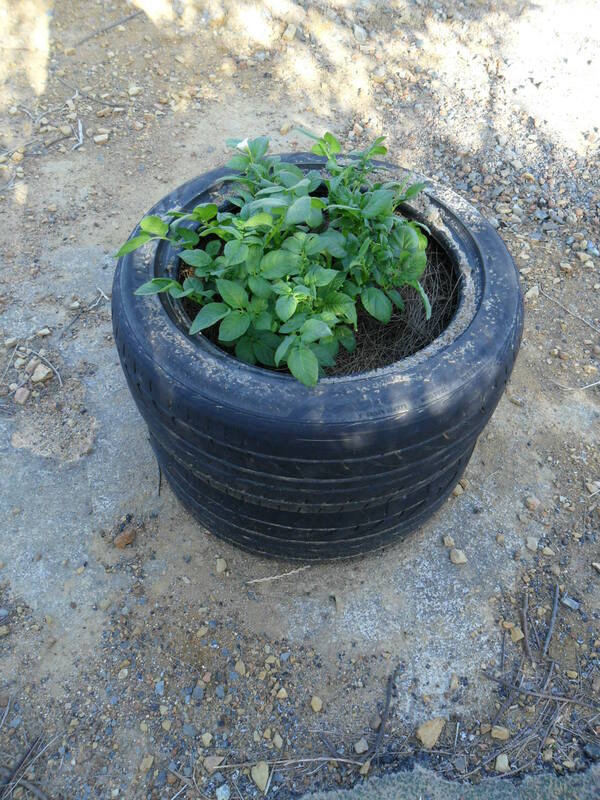 In April and May the clubs took part in two alien plantation hacks at the Kenilworth Racecourse Conservation Area, followed by a visit to Goedgedacht Farm for World Environment Day on 5th June. Then in November two clubs took part in the Children’s Radio Workshop on climate change. 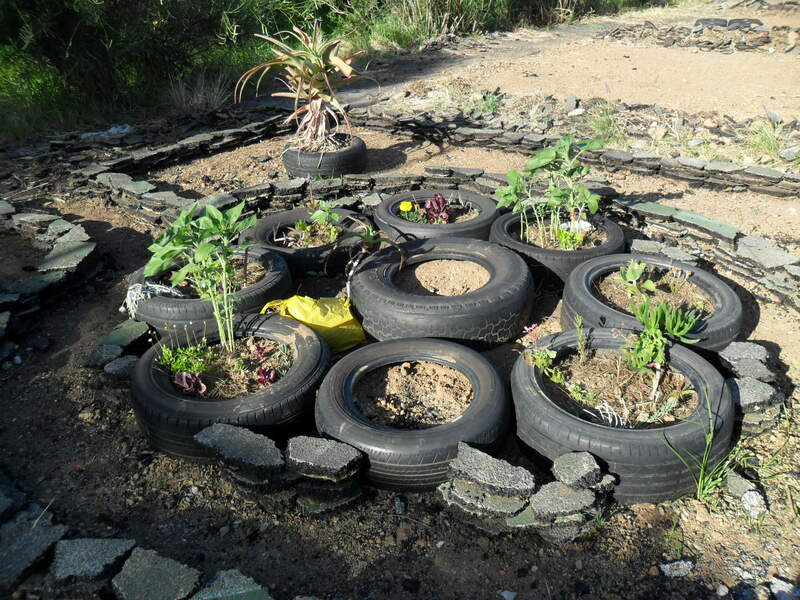 Throughout the year the clubs have worked on their own projects, aiming to reduce their schools carbon footprint. 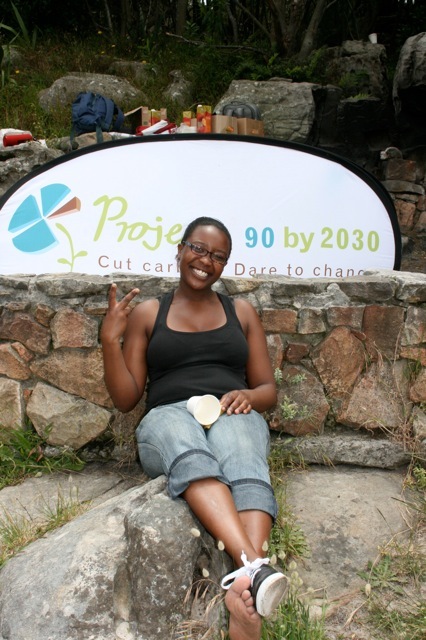 They’ve really done some amazing work and everybody at Project 90 looks forward to an exciting 2011. It’s quite incredible that Cape Town can be warm, sunny and windless for days on end, however when you plan a day to hold an event the south easter decides to blast its way over the mountain. In fact the weather was perfect for hiking, but for swimming it was up to the brave, namely myself and Art from Waldorf Constantia to take to the waters of the Silvermine Dam. For the afternoon we sat on the rocks, ate fruit and cake, chatted and planned our first of many flash mobs. A Sunday afternoon at 1:30 pm is prime time for families to eat their picnics and gaze at the stunning scenery, so we decided to take over the Dam(n) Wall and create a little buzz. Everybody lined up on the wall, took their positions and started a rhythm, becoming faster and faster, until we sent a Mexican wave down the line followed by Project 90s tag – Cut Carbon, Dare to Change. It certainly caused a little stir in the tranquil setting of Silvermine. Watch this space for much more to come in 2011!! We went along to Rhodes Memorial on Sunday to watch the demolition of the iconic Athlone Cooling towers. We were very happy to see these symbols of our dependence on coal implode and we cracked open the champagne and ate cupcakes to celebrate. See more photos here. We got many signatures on our Solar Water Heater petition, calling for Government to rather spend the R60 billion set aside for a new coal power station on providing 4 million Solar Water Heaters to the citizens of South Africa. Not only will this reduce carbon emissions, it will also reduce electricity bills and create jobs. Research shows that renewable forms of energy can create up to 25% more jobs than coal. Research by the Global Climate Network (GCN) has shown that 145,500 jobs could be created in South Africa in our renewable energy sector. These figures were based on a 15% target for energy generated from renewable sources by 2020. To put this into perspective, the coal mining industry created just 37,000 jobs in 2008. And of course renewables don’t come with the host of problems that coal brings such as acid mine drainage, ground and water pollution, extensive water use and health effects from coal pollutants. 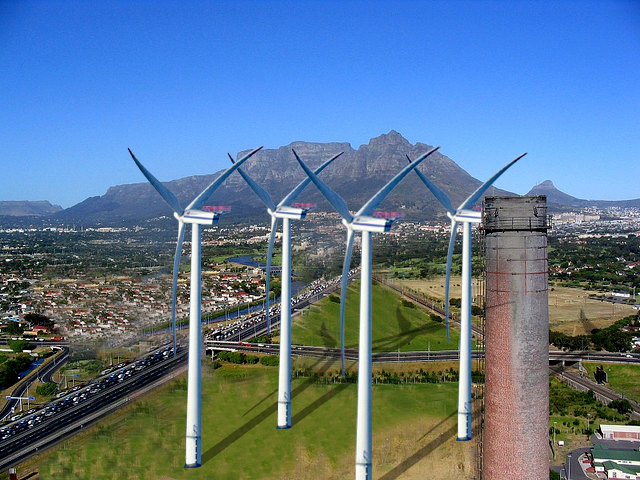 Eskom is South Africa’s biggest user of coal with 10 coal-fired power stations in SA emitting a whopping 220 Mt CO2 per annum. 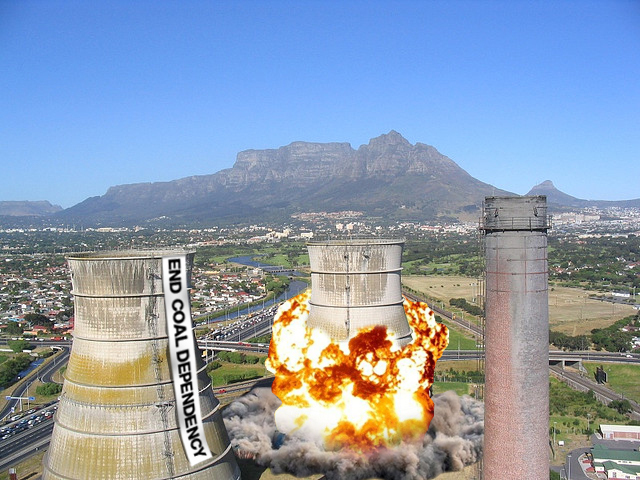 Three coal power stations are now being returned to service with plans to build two additional coal power stations, Medupe and Kusile, needlessly locking South Africa into a high carbon energy future. With the floods in Pakistan displacing 14million people, the fires and smog in Moscow, the giant 260 sq km sheet of ice which has broken off a glacier in Greenland, coastal properties at risk in KZN from sea level rise we have a stark reminder that climate change is already happening and we urgently need to start a transition into a low-carbon, sustainable energy future. Coal – soon to be a blast from the past…? 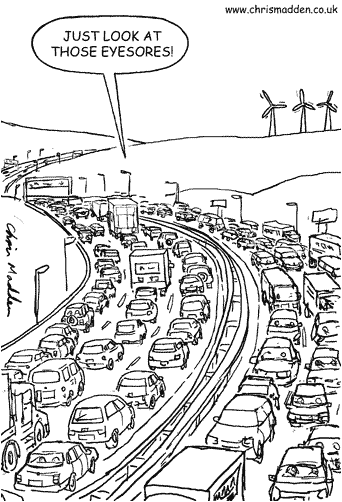 We say: let the explosion on Sunday signal a renewable energy explosion for the future! 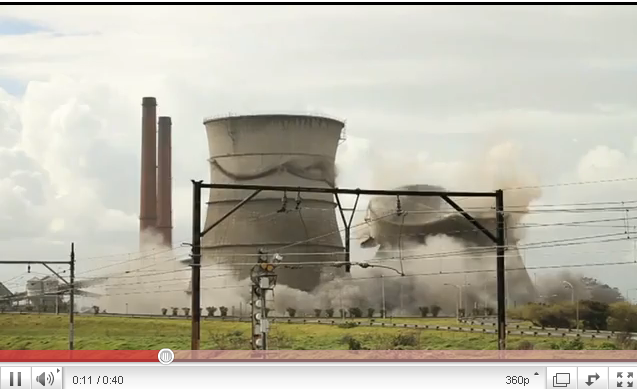 The Athlone cooling towers are due to be demolished at 12 noon this Sunday, 22 August 2010. 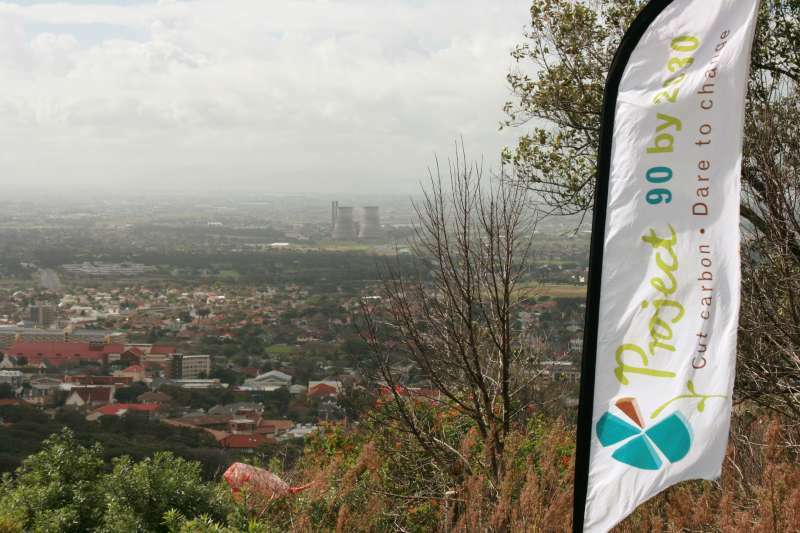 Project 90 will be hosting a mini celebration at Rhodes Memorial to watch the demolition of the towers – a symbol of our dependence on coal – and express our desire to create a new sustainable and low-carbon energy future for South Africa. We look forward to seeing you at Rhodes memorial on Sunday at 12 noon! 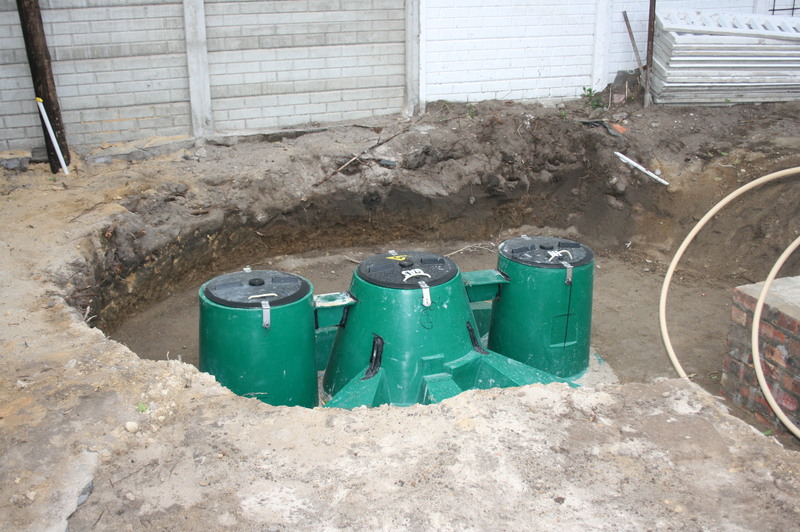 Robert Fischer, our Renewable Energy and Energy Efficiency expert, went along to watch the installation of a Biogas Digester at a household development in Newlands. 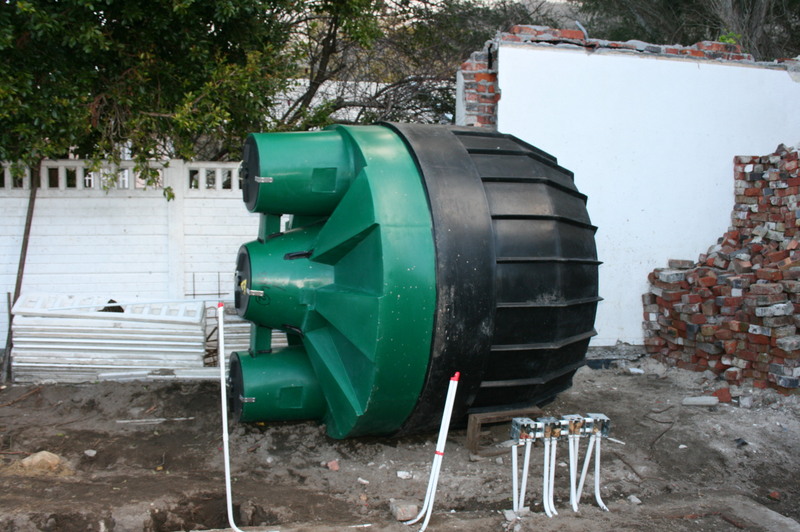 Biogas digesters prove that ‘sewage’ does not have to be a dirty word. One of the biggest unsolved public health and environmental problems facing all of us is the untreated or partially treated sewage that is flowing into our rivers, our townships and our ground water. For more information visit: www.biogaspro.com. 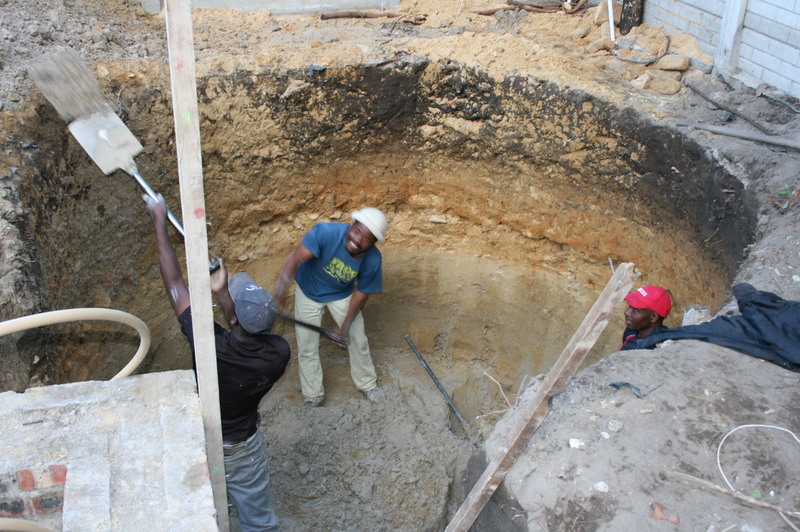 Mr. Bruce Kerswill, the proud owner of the latest biogas-digester called a ‘BiogasPro’ from AGAMA Biogas, is convinced that the biogas digester installed at his newly-built residential building will cover most of his family’s cooking needs. It is fed with “black water”, (i.e. sewage from toilets) to ensure that the digester doesn’t get over-filled. In addition it will get fed with kitchen off-cuts and biodegradable garden waste. Mr. Kerswill is the executive chair of the Green Building Council so for him there’s no question that such technology should be introduced in residential housing developments. The benefits are clear: household waste is effectively utilised, a switch from carbon emitting electricity towards biogas for cooking, no transport costs for garden waste, a perfect fertilizer for the garden and a reduced load on the sewage system. 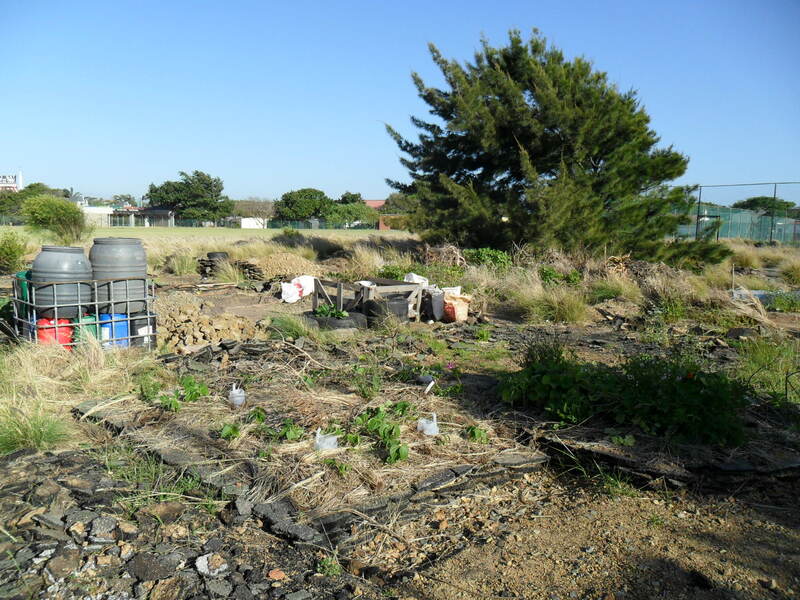 The environmentally friendly installation at this development in Newlands does not stop at the Biogas digester – it continues on the roof, a Solar Water Heater will be installed to supply all residents with perfect hot water! Congratulations to AGAMA Biogas and Mr. Bruce Kerswill – keep on cutting carbon! Somerset College recently earned their second eco flag as part of the Eco-School network. 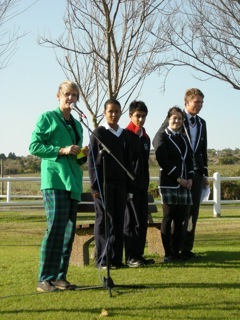 Their Club project was assessed as part of the school’s green-flag submission. A ceremony was held during break time which was attended by the whole school. As part of the ceremony, girls from the Project 90 Club gave their rendition of Jack Johnson’s ‘3 Rs’. In order to receive a second green flag the school is expected to maintain the progress they have already made on making their school sustainable, carrying out any recommendations from their previous assessment and extending their environmental program at the school. 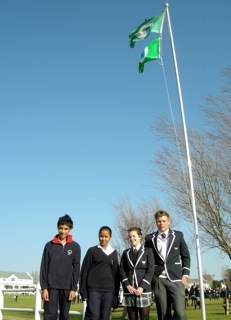 Congratulations Somerset College, fly your green flags with pride!